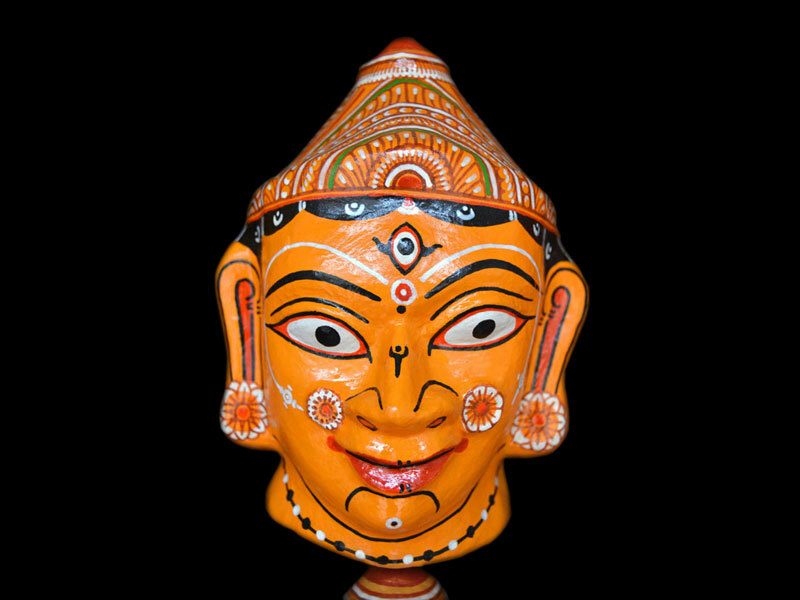 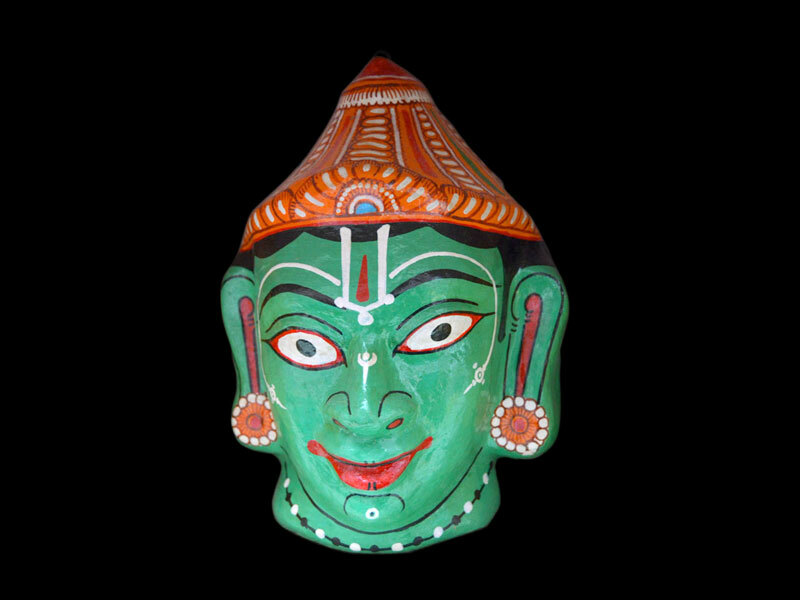 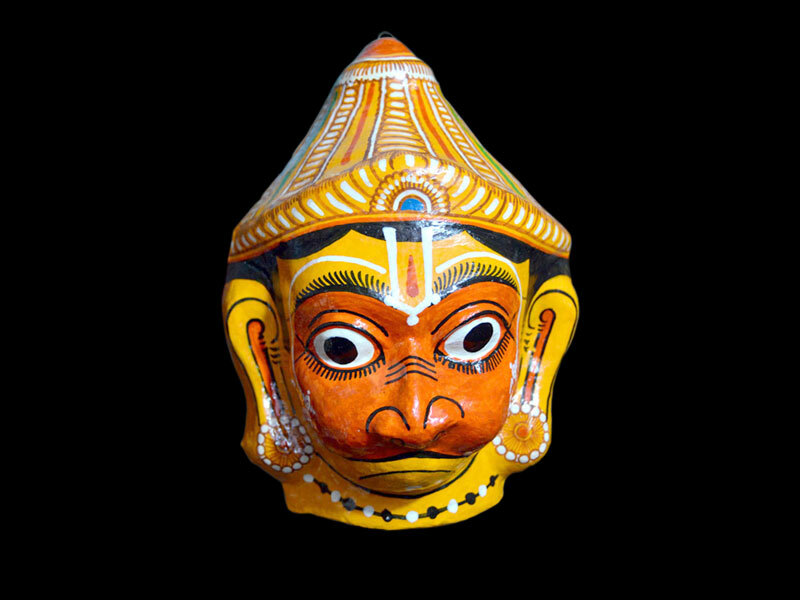 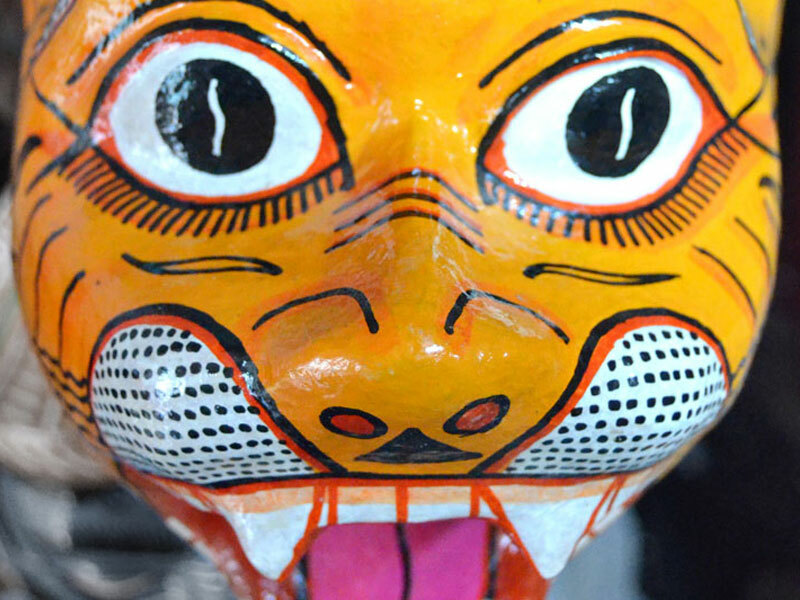 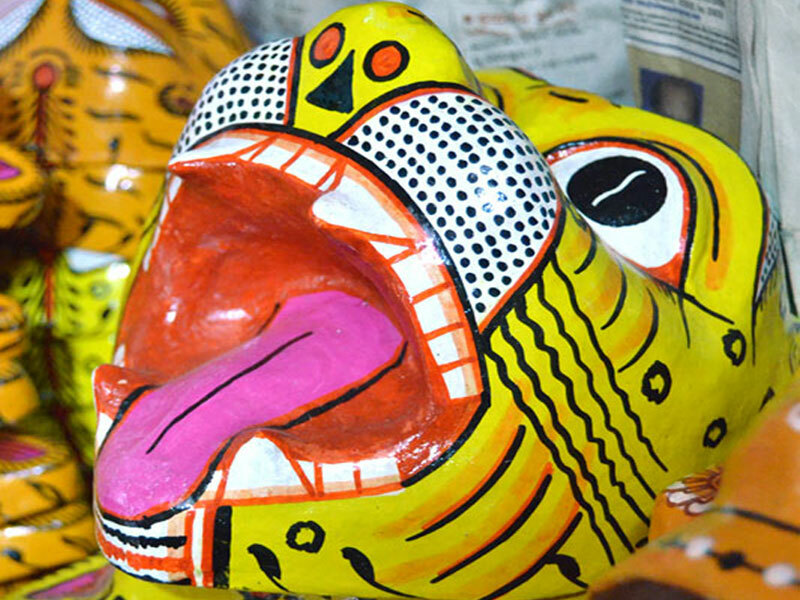 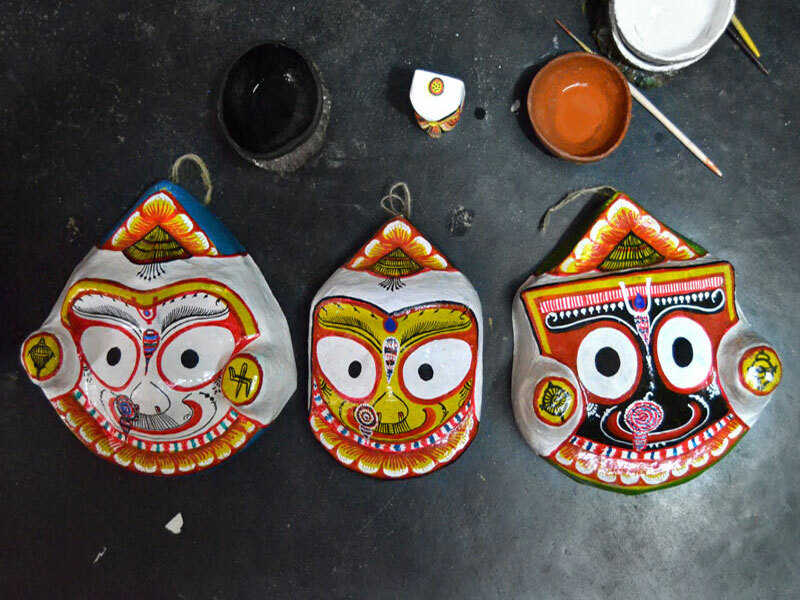 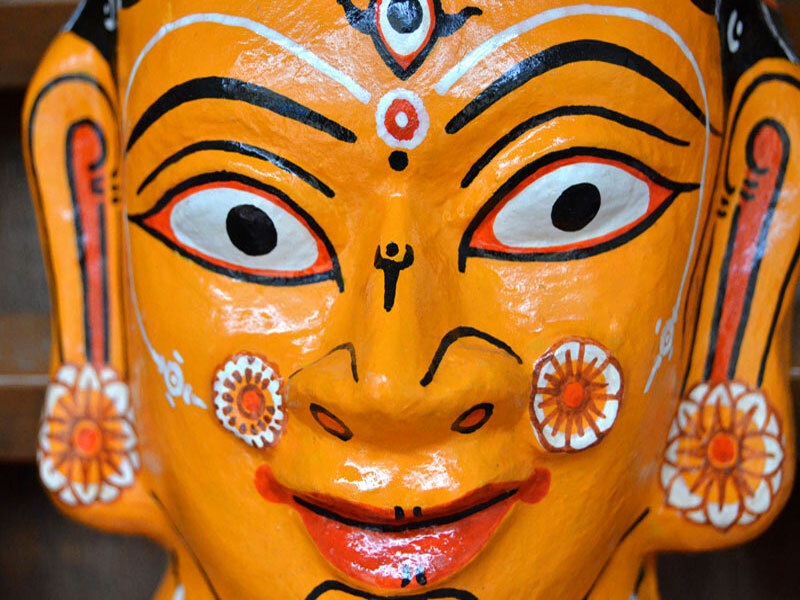 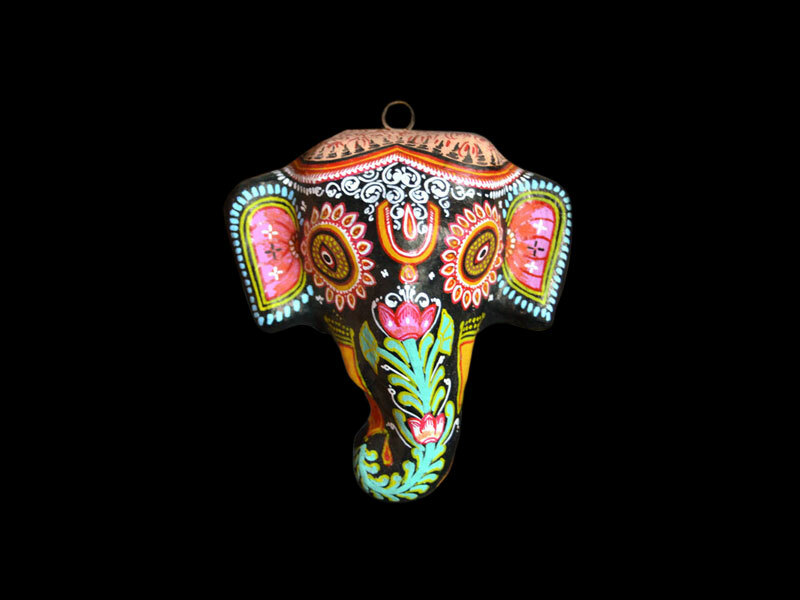 Mask-making is a skill that has been creatively practiced by artists in Orissa for a long time. 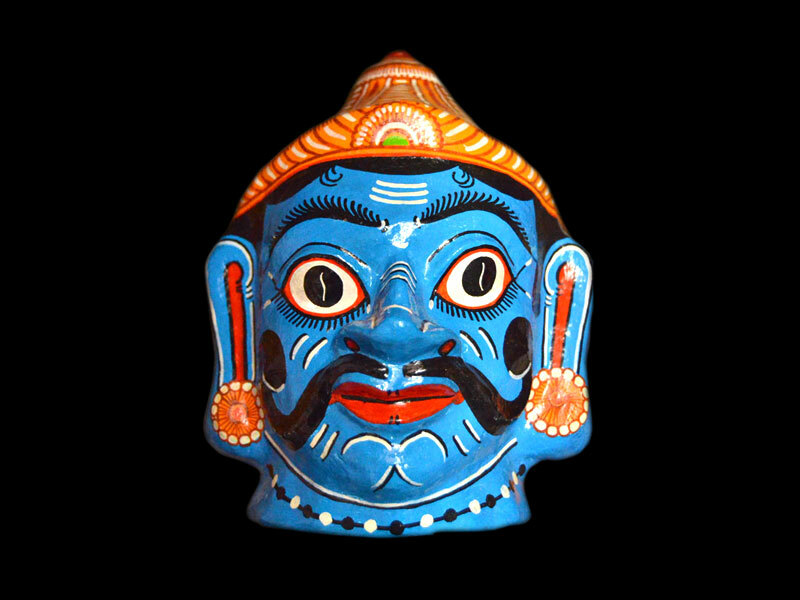 The state has a history of folk theatre also known as 'Jatra'. 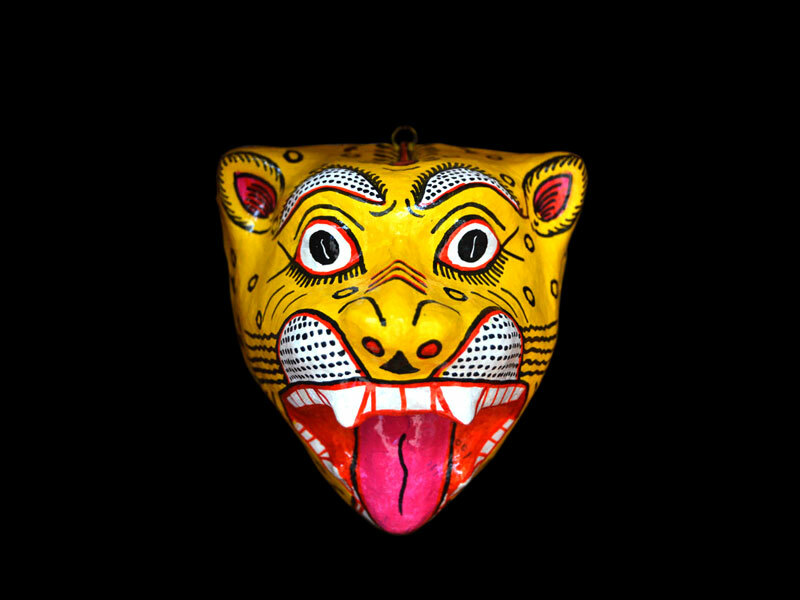 The performing artists use masks based on their characterizations. 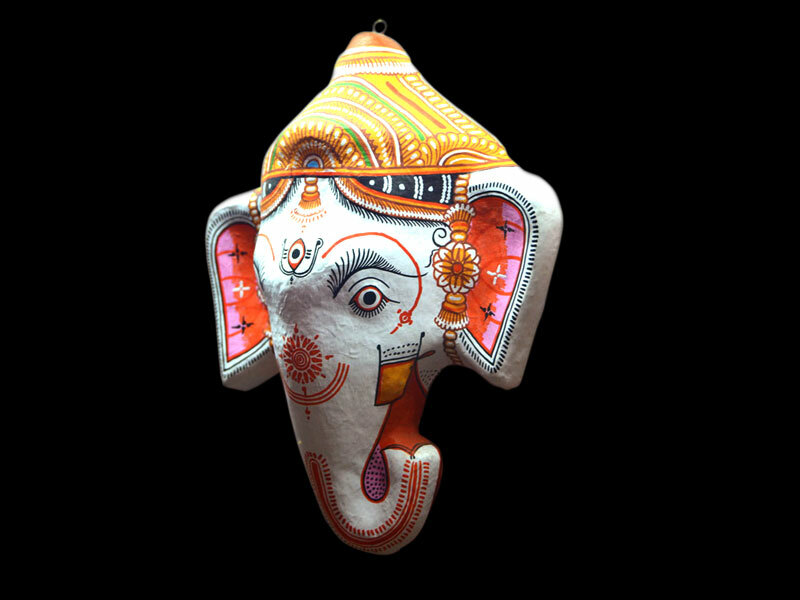 These are made of papier-mache and cowdung, because in India, cows are an important part of daily life and considered sacred. 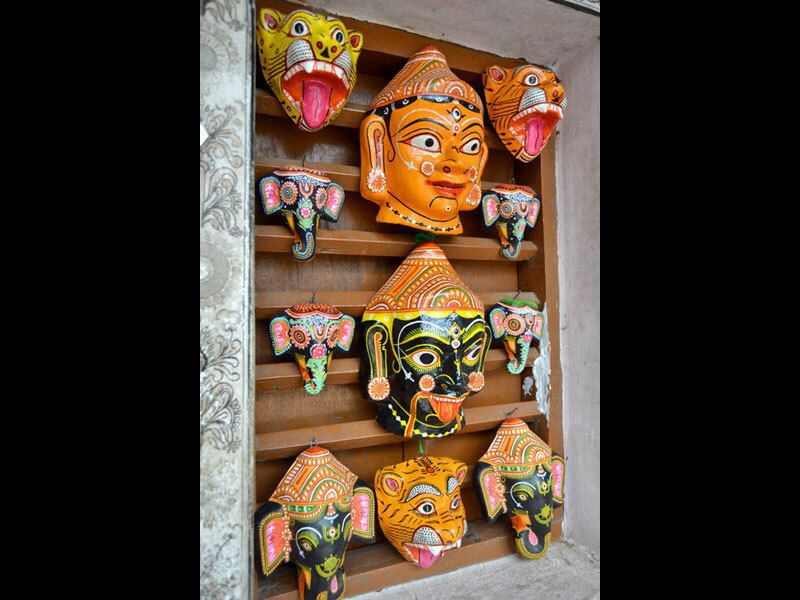 Their dung is used as a base for a variety of artistic creations that build a hidden bond between the animal and the observer.